At Our Centre we use Crystal and 3DSkintech –Rotational Microdermabrasion.Microdermabrasion (MDA) is a rejuvenation technique, which involves a controlled and uniform mechanical exfoliation of the skin. Mechanic removal of the superficial layers of the skin promotes skin regeneration, synthesis of new collagen and elastin, which as a result causes an anti-ageing effect.An improvement in the treated area is noticeable immediately after the first session. Your skin appears smoother, younger-looking and more radiant.MDA was introduced in cosmetic dermatology more than 2 decades ago.We use a medical system known as “Derma Genesis M2” and 3D-Skintech to perform this deep exfoliating and skin resurfacing treatment. Microdermabrasion facial is a pain-free, safe and deeply effective treatment for youthful, vibrant skin.Men and women share a common desire, which is to look at their best regardless of their age. It effectively treats all ethnic origins and skin types, including tanned skin. This is an incredibly popular and effective treatment, best-loved for its immediate and long-lasting results.We use a disposable, single-use treatment system, to eliminate any risk of cross infection. Crystal – Microdermabrasion:- Is a gentle technique of exfoliation, performed using a fine jet of mineral crystals (aluminium oxide). The crystals are blown across the surface of the skin under pressure and are immediately vacuumed back up. These MDA procedure removes the unwanted dead and outermost layer of skin cells to reveal the fresher, more youthful looking skin beneath. In addition to this cleansing action, microdermabrasion also improves the effectiveness of other treatments such as laser and skin care products. The average microdermabrasion session takes less than 20 to 30 minutes, depending on the condition of the skin and area needing to be treated. We recommend a package of 4 to 6 treatment sessions, at 2 weekly-intervals. Mild redness may occur, similar to sunburn. However, make-up can be applied immediately and there is little or no recovery time needed post treatment. All areas of the body can be treated, but it should be emphasised that resurfacing techniques work best on facial skin. Furthermore, all types of skin colour can be treated. 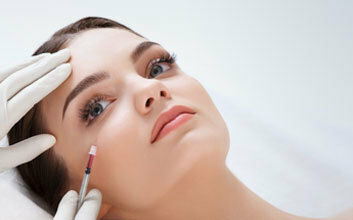 WHAT IS THE DIFFERENCE BETWEEN MICRODERMABRASION, CHEMICAL PEELS, AND LASER SKIN RESURFACING? The advantage of medical microdermabrasion is that is relatively low risk. Results are also seen quite rapidly, compared to traditional resurfacing techniques such as dermabrasion, chemical peels and laser resurfacing. This however, can serve as both an advantage, and a limitation. The fast healing and low risk of microdermabrasion, work on very superficial epidermal injury, hence only shallow scars and fine lines can be addressed. It is not as effective for deep wrinkles and scars, because these lesions extend into the deeper dermis. Patients with these problems are best treated with more aggressive techniques such as DermaPen or laser rejuvenation. There is no evidence to suggest that treatment can lead to skin disorders or even an increased risk of skin cancer. Our centre is registered with the Healthcare Commission. This ensures our patients are treated safely and with great care.